The definition of a book-a-holic is someone who hoards books and or cannot get enough books. The definition of a bookmobile is a vehicle that transports books. If my house had wheels it would be a bookmobile for a book-a-holic. …you can’t leave a bookstore without buying something, even when you have a “to-be-read” list pile a mile high. It’s sad. I’ve tried to change. I’ve taken boxes of read books to Half Price books and cashed them in for cash and then turned right around and invested some of that cash in more books. I go to rummage sales with my wife and commit to not buy a book unless it’s something special. You guessed it, I nearly always find something special. And then there is the Amazon Wish List. I think I have about 30 titles on that list. Then what happens I’ll find a title I just have to have and I’ll go order it. Before long I get the new book plus one on the wish list. Then I add 2-3 more to the wish list. With little effort my wish list could exceed my capacity to read every book on it before the end of my life even if I lived to be 100! And that’s just for my fun reading. And it’s not that my ministry reading isn’t fun, it’s just that it’s connected to my profession so there is a certain amount of “I have to read this book” as opposed to “I really want to read this book now.” Book-a-holics know exactly what I mean. It’s all my dad’s fault. Yeah, I know, blame the parent because you are messed up. It’s our national pastime. Seriously though, the man was a reader and a rather eclectic one at that. So, when I was small off we’d go to the library. Dad would go off to what ever his latest interest was and I would make my way over to history or geography or what ever else caught my eye and looked interesting in the kids section. So, here’s my stack of books at present, not a mile high, but enough to clog at least one good size shelf. The list is in no particular order. It would not matter anyway even if it was. I’d change my mind about what I’d like to read next and the list would be obsolete. I’m certain there are more books somewhere in the bookmobile or on my Kindle for iPad. I’m getting more books on Kindle or iBooks format. At least the electronic ones don’t stare at me from the shelves and shout “read me next.” They stay hidden unless you go to where they are safely stored and then they shout “read me next.” I’m guessing I half about 6 more or so electronically. It’s a growing trend, but out of sight, out of mind, right? Oh, and the list does not include magazines. Sigh. 2. Frozen Sun by Harvey Black. I group these two together because they are sequels to Devils with Wings a book I finished recently. This particular series is my first foray into WW2 historical fiction and I picked it because I’ve always been interested in the first parachute troops that were pioneered by Germany. They were called fallschirmjagers and saw some of the fiercest fighting in the war. Devils with Wings features the assault on Eben Emael, Devils with Wings-Silk Drop is the assault on Crete and Frozen Sun feature the fallschirmjagers on the Eastern Front near Leningrad. Fallschirmjager from my miniature collection. Mighty Stonewall is the bio of Thomas (Stonewall) Jackson, a classic on the topic I think. This is a hefty, detailed volume that makes much of Jackson’s letters and correspondence. While I’ve read much on the American Civil War and Jackson’s campaigns this is the first time I’ve delved into Jackson the man. Thus far I’ve enjoyed the book and am to the part where Jackson heads off to command the garrison at Harper’s Ferry at the beginning of the war. I’ll probably finish this one before starting another. That’s sign I’m working at a cure. This book feeds my obsession with Roman military history. It features a history of all known Roman military units, especially the Legions plus all the battles they were involved in. I like it because you can read a chapter here and there and one chapter does not depend on another. If you are into the west’s first professional army then but this book. I’d don’t have to finish this one to enjoy it when I feel like it. Less guilt that way. Bought a copy of this because of an ad I saw from the publisher on the back cover of another book I just read. Yep, the advertising sucked me in. Seriously, the subject matter sucked me in. The book is about the Iron Brigade at the Battle of Gettysburg. 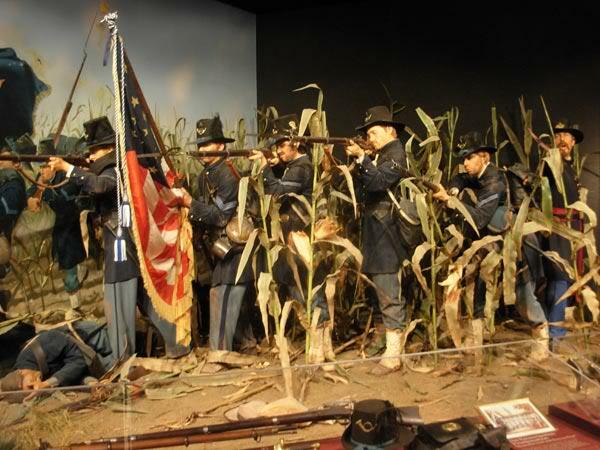 The Iron Brigade consisted of the 2nd, 6th, 7th Wisconsin, the 19th Indiana and the 24th Michigan Regiments. They saved the day on the first day of Gettysburg and took enormous losses in the process. They wore the black slouch hat of US Regulars, hence the reference. This is a hefty volume. I picked it up “on special” at the Robert E. Lee Chapel bookstore on the campus of Washington and Lee University in Virginia. It looks like a fascinating read, although it’s a hefty volume and would probably take me a month at my current pace. Another American Civil War volume about an interesting battle in the Shenandoah Valley in 1864. It was a Confederate victory until Phil Sheridan rallied the Union troops and turned the Confederate victory into a Confederate rout. I’ve always wondered how he pulled that off. I got this one at a private museum just outside the New Market Battlefield Park. It was a better musuem than the one in the park. A historical novel set in the 100 Years War. I enjoyed Cornwall’s The Saxon Tales and went on a binge stock piling his other books the last time I cashed in at Half-Price Books. Another volume set in the 100 Years War. I’m stock piling them now and will read in order when I get them all!!!!! They are not allowed to shout “read me next” until I do. Apparently Cornwall has a series about King Arthur. I won’t read this one either until I get them all so I can read them consecutively. Adding historical fiction to my reading addiction has doubled the amount of unread books. If I got every book Cornwall wrote (and yes they are that good) I would not have time for anything else. 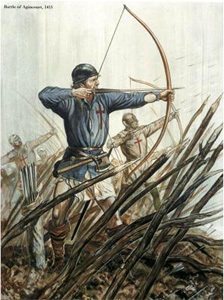 I’ve read a lot about the battle that ended Anglo-Saxon England and added the Norman French element to Britain’s mix of Celt, Saxon, and Dane. But I never read this one and I found it at Half-Price books when I had all that cash in my hand. 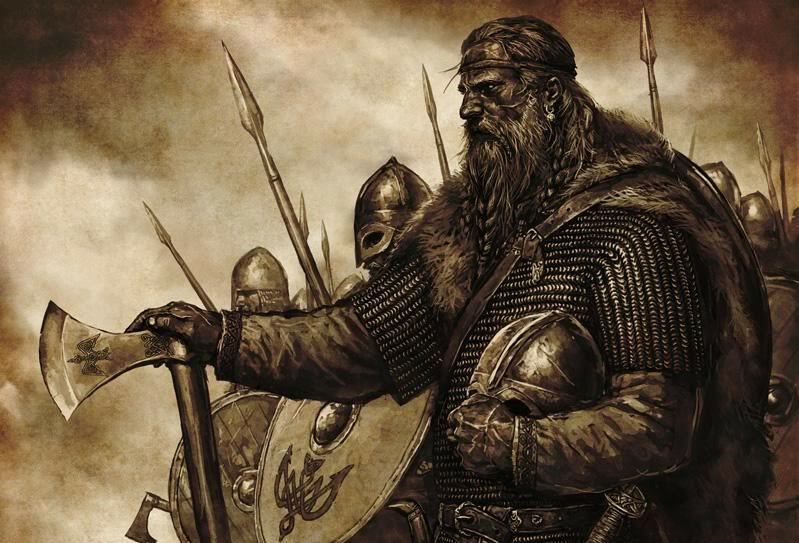 Coolest picture I have of Vikings. 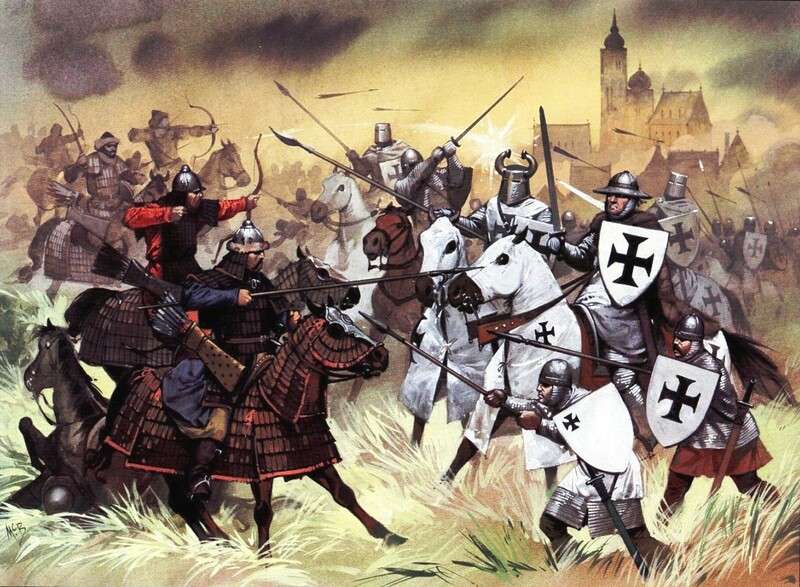 The Anglo-Saxons had to fight these guys before they went off to Hastings to fight another battle with the Normans. A comparison between Islam and Christianity and how jihad is part of the fiber of Islam. Given the hate mail Spencer receives I figure he is doing something right. This one can be read a little at a time. It’s not allowed to shout at me. One day I’d like to do a class at my church about Islam. Spencer will be on the mandatory reading list. This is another book I picked up at that college town used book store. I’m thinking it was required reading for students taking Roman History. Hadrian is famous for that wall in Britain, something I’d like to see one day. Besides, I like Roman history and reading about Hadrian’s great tour of the Empire should be fun. If I believed in reincarnation, which I don’t, then I’d think I’d lived along the wall in a former life given my interest in Roman Britain. I really do not have an explanation for it except that the British speak English and have written much on the wall, which I’ve read. I probably didn’t need this book when I found it at Half-Price books. Yes I did. 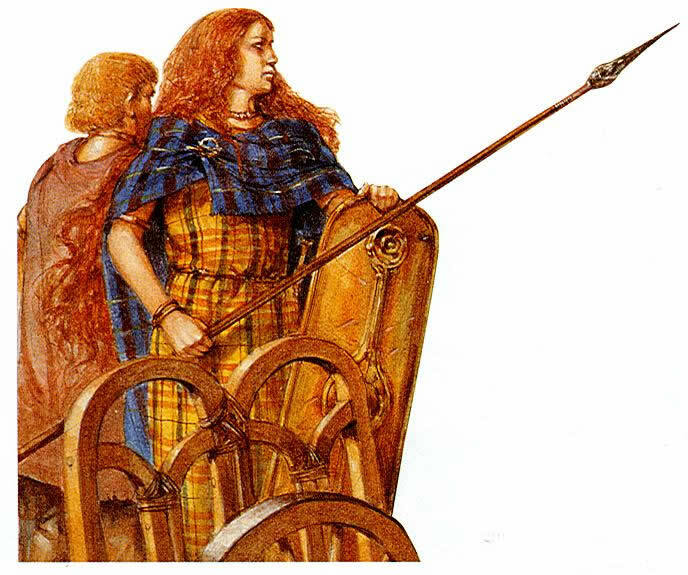 Like #’s 17 and 18 except for the fact that this Queen Boudicca was a rather extraordinary character in a male-dominated time and culture. She darn near pushed the Romans out of Britain, no small task. This book looks like a “everything you ever wanted to know about the warrior queen.” One the first feminists I think. Sometimes the Celtic queen is portrayed like a modern runway model with a sword! I think this picture is a bit closer to the truth! This one really does not count. A friend lent it to me (or is it borrowed it to me, I can never get that straight) when I was laid up last year. The problem was I had nine other books to get to and poor George fell to the bottom on the pile where he resides to this day. Friends have read it and told me it is excellent and that serves as the shout “read George next.” And I would like to. It’s all about the 9/11 attack and following. Love him or hate him I think he was a honest President whose legacy became protecting America and going after the bad guys wherever they were found. I probably should give it back. This is my recent addition. I purchased it on a recommendation from a blogger friend who knew I was into genealogy. I am primarily of German (Prussian) Pomeranian ancestry and this book is a history of Prussia, a German State that was abolished by the victorious allies in 1947 following the end of WW2. I know little of Prussia’s history apart from Frederick the Great’s battles and the Prussian resurgence against Napoleon in 1813 so this will prove to be enlightening. At the moment, this hefty volume is shouting the loudest, “read me next” and I just might. You book-a-holics know what I mean. We always have good intentions. 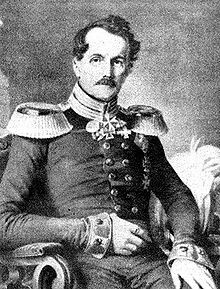 Prussian Cavalry General von Roeder. Fought at Waterloo, 1815. Probably no relation since I think my ancestors were Prussian peasants, but hec ya never know. “leaving on a three day trip you load your Nook up with e-books to the complete capacity and then run by the library and fill up a large book bag”. I decided earlier in the year that lack of storage space for more books meant that I had to buy a Kindle. I then greatly increased my number of unread books by buying the cheap e-book versions of the complete works of Conrad, Dickens, Hardy, Kipling, Scott, Stevenson, Trollope and Verne. I did clear a couple of shelves by sending my paper copies of some of these books to a charity shop. Hahahaha, I know the feeling. My kindle for iPad is virtual storage for an increasing number of titles. I have missed feelings about it. There is something to a hard copy, yet as my wife and I will likely downgrade our amount of living space paper copies will have to go in increasing numbers. Thanks for the comment. Great books. The Norman Yoake remains. England rising.